You only have to go as far as Alexa to find the hottest ways to market your business online. Just browse through the top sites, and you’ll find the most popular sites on the internet. 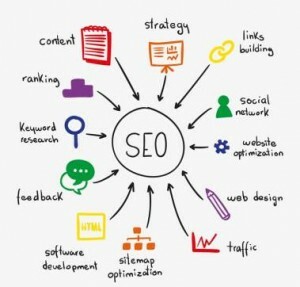 If you follow these simple steps you will be a San Diego SEO Expert in no time at all! Once you know what these sites are, then it’s simply a matter of mapping out your marketing campaign and marketing your business. The number one site on the internet is, of course, Google. Google is also the site that offers the most search results. 80 percent of all searches performed are performed here. To get the most from this search engine, submit a sitemap. This will allow your site to get fully indexed. 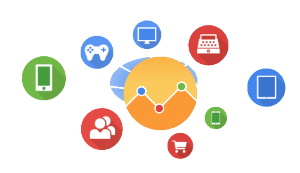 You may also use Google Analytics to help you track the results of your pages and find where your traffic is coming from. The only other search engine to be concerned with is Bing. Bing drives the results for MSN and Yahoo. Submit a sitemap here to help your website get more fully indexed. Both sites require you sign up for an account first before you submit. It is free to get an account, and you may use this account for their other services. Facebook is the number one social marketing site. It is also the largest. You will want to build a profile like the one seen here and then join groups to promote your business. Other social sites include Linkedin, a business site, and Live, which is part of the MSN Network. When you join either of these sites, build a complete profile. Include the RSS feed for your blog or website so any posts you make will display here. This helps you share your content and get it in the hands of your readers. Youtube is the most popular video site in the world. It receives 65 percent of all the traffic video sites receive. You can create an SEO Youtube video to create reviews of affiliate programs, offer tutorials of your products, and build a channel of information for your business. Like the other sites I previously mentioned, create a compelling profile that is complete. Choose a theme that reflects your business and make your profile look professional. Link to your website so viewers have a way to find your business. Have you written a book or ebook? If you haven’t, then you’ll want to write one to promote your business on Amazon. Amazon allows you to offer your books as ebooks through Kindle. Books are an excellent way to increase website traffic and engagement. Once formatted for the Kindle device, you may give away or sell your ebooks. If you want to offer your ebook as a book, you may use their CreateSpace service for free. Once your title has been approved, it will be added to the Amazon catalog within five to seven days. Check out a great template for a guide resource here. CreateSpace also offers worldwide distribution of your title for a minimal price. Twitter is the king of microblogging. You communicate in 140 character “tweets” with those who are following you. The best way to get the most from this site is to get involved. Follow as many people as you can, and also, build your following by providing interesting tweets. Build a profile that reflects your business. Use automation tools sparingly and stay involved. This entry was posted in Online Marketing, Social Media and tagged internet marketing, san diego SEO, search engine optimization, seo expert. Bookmark the permalink.